One of our Ameraucana (Wheaton) chicks with some of our Easter Egger eggs. 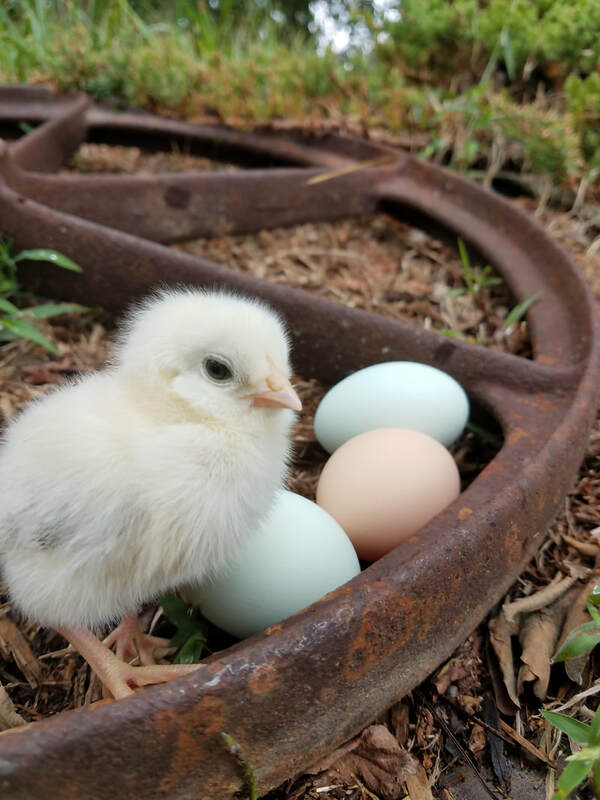 Located in Southeastern Indiana, we raise purebred Ameraucana chickens. We are members of the Ameraucana Breeders Club - ameraucanabreedersclub.org. If you are searching for a custom chicken tractor, please contact us. We will begin selling fertilized Ameraucana eggs, day old Ameraucana chicks, and more very soon.